These holsters are in stock and are guaranteed to ship within 3 business days of ordering. 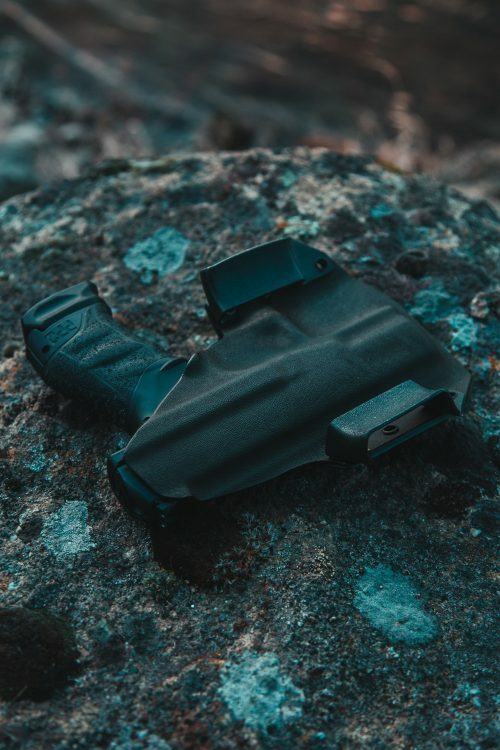 While not offering the customization options that a Custom Ronin OWB Holster offers, for our customers who aren’t picky and want their holster fast this is a great option. We stock holsters for the most popular firearms from Glock, HK, Smith and Wesson and many others. Don’t see your firearm listed? 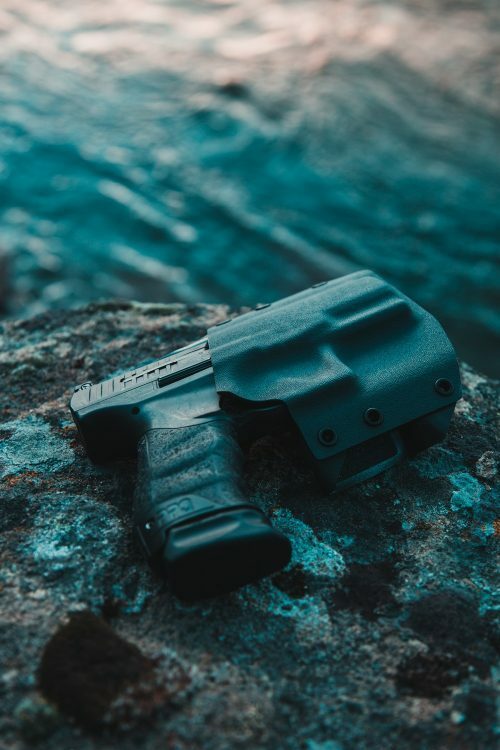 Chances are, we still make holsters for it – visit our custom Ronin OWB Page. Forward Cant based on the size of the firearm – bigger gun = less cant. 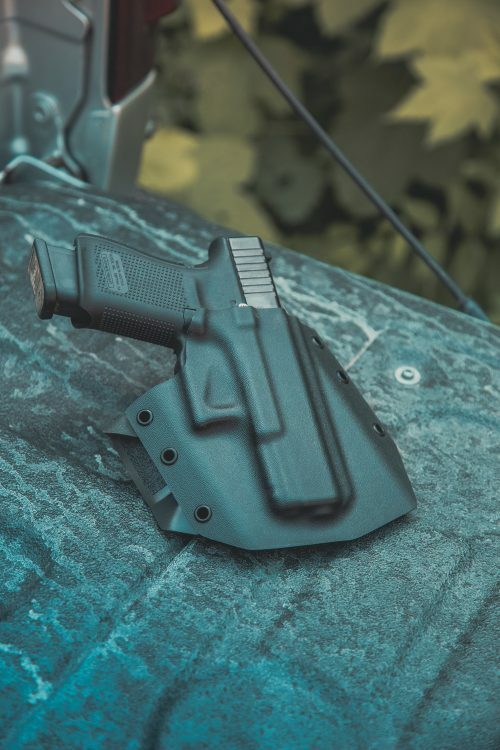 2.0 Holsters features crisp lines, tight contours and a smaller footprint. All a benefit of our improved production methods using our custom vacuum molds. I bought this holster on Amazon for my Glock 21, and it has been absolutely amazing. The quality and fit and finish of this holster in my opinion is better than any of the Bravo Concealment holsters I have used in the past. Very durable and comfortable, with the perfect amount of retention. I recommend this holster to everyone I know. Will definitely be purchasing again for all my other handguns. Bought this for my Glock 26. Incredible product, perfect retention. I recommend this holster to everyone I know that carries. 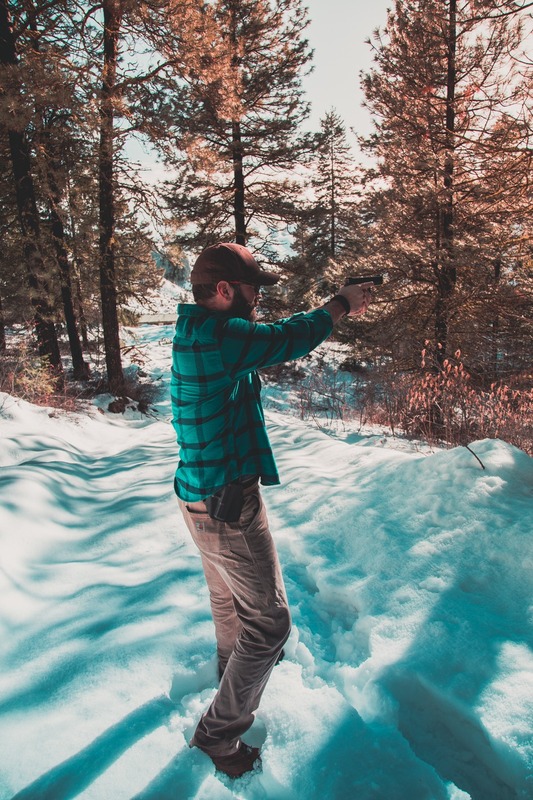 Been wearing a Ronin I bought 2-3 years ago consistently in carbon fiber/coyote tan for my Glock 19 and I can say enough good things about it. Its hands down the best holster I’ve seen and used. Love that they are made locally and they’re location are less than an hour away in case I need maintenance. Quality, retention, contoured design of belt loops and holster is outstanding. Its the holster I measure all others up to. I’m also so happy to see they have large diversity of handgun choices for their holsters and I’m going to pick up another for my new PMR 30. 10/10 Extremely recommended. So far this will be my 3rd holster ordered. Great product and definitely worth every penny! D-Mac turned me on to your holsters. Just got the Ronin 2.0 for the Glock 21. Brilliant! Pulls grip in tight and it makes my rather thick and heavy pistol feel much lighter. My new EDC rig. Great value; couldn’t be happier. Thanks! Amazing holster. Love the little details such as the grip tape on the belt loops and the beveled edges. Has a nice cant for easy draw and conceals very well. Highly impressed! I have carried the 1911 Government Model (IWB and OWB strong-side) for “winter” dress for decades. Fortunately, the shop pointed out the Gunfighters’ line. I went with the Ronin and have been wearing it for a year (a summer and winter), daily. I’m now thinking about getting one for my Big Colt (winter is coming). The design holds the grip close to the body and retention is tenacious. Great product that I recommend to everyone! I run this holster with a Glock 19 Gen 3 and Gen 5. I can honestly say that my search for the perfect OWB Holster is officially over. 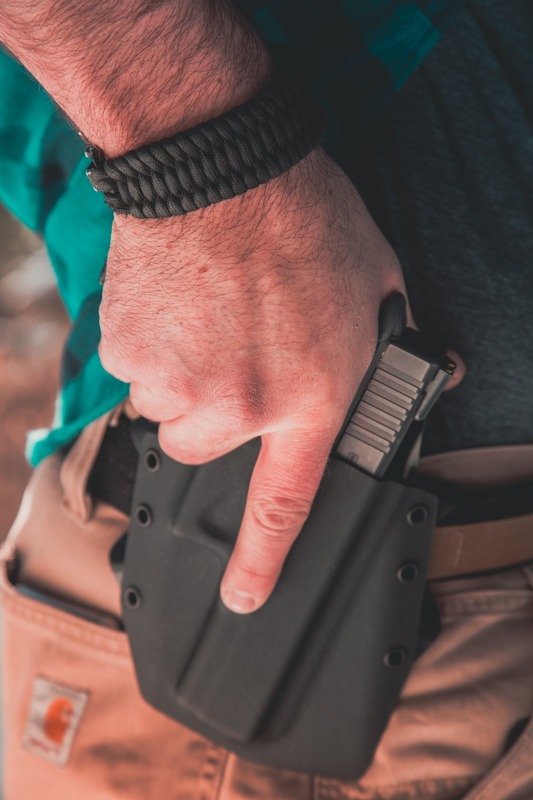 Retention is awesome, rides close to the body, allows for quick and smooth draw, reholstering isn’t an issue and to beat it all, it’s comfortable!! I recommend this holster to anyone looking for a great OWB holster. I own several ranging from 1911’s to glock 19 gen 4. I won’t use any other holster ! Most comfortable holster I’ve ever used as well as being low profile no no to minimal printing depending on my clothing. Retention is perfect and reholstering is a breeze. Got mine custom made for my FN 509 tactical to accomendate the DPP red dot and light I have attached. Fits like a glove. My second holster I’ve ordered, my first was a IWB for my Glock 27 and liked it so much got the Ronin for my FN. Will be buying more in the future including the chest rig.